Baubles and accessories - never too few or too many! These beauties need to come live with me on the ASAP! 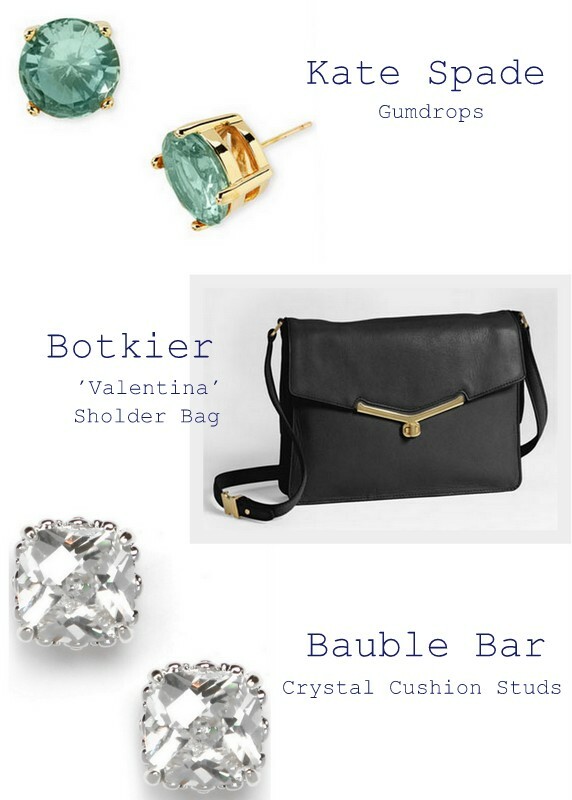 I'm a stud girl through and through (discussed here, and here) - I love the little pop of color these Rock Studs will add to a drab all black cold weather ensembles - I say every year it wont happen but when it's mucky out - it inevitably does! Or maybe I need them in a bright blue - bright blue would go with my new plaid!!!?!! And what girl doesn't need another pair of big shinny sparklers?! We all do - and this great cushion style from Bauble Bar is such a great shape and variation. I must get! Like yesterday! And a purse is a fantastic accessory. I recently got the most fabulous, most dreamy Chloe bag. You've seen her once! She is utterly amazing. But I have a hole - I need a small little black crossbody bag. Need. And Chloe as I call her is like a suede type leather, I do NOT want to ruin her in any way shape or form! I love the vintage timeless feel of Valentina. What accessories are calling your name for fall? DO IT!!! I have them in black and wear them constantly! Those Kate Spade earrings are literally to die for. LOVE. love those gumdrop earrings! i'm dying for tory burch boots for fall, at 50% off, readygo! I love those BaubleBar studs! Those BaubleBar beauties must be mine!